Our product range includes a wide range of ggj13 automatic stirrup bender, automatic stirrup bending machine and gtw4-10 automatic stirrup bending machine. We are an eminent name in the market as a leading manufacturer of high performing GGJ13 Automatic Stirrup Bender. It is highly praised due to its space saving design and unmatched performance. Available in diverse models, this is designed for compaction of thin asphalt layers, small repairs, and road maintenance work. In addition, this Automatic Stirrup Bender is manufactured at our technically sound production unit using superior quality materials under the guidance of our team. 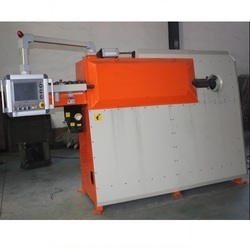 Automatic Stirrup Bending Machine machine works wonderfully well with the single and double stand and its buffer unit helps to condense the volatility and confrontation throughout the process rebar. We are engaged in manufacturing and exporting a wide gamut of Automatic Stirrup Machines. These are available in various models to meet the changing requirements of our customers. They are best for construction stirrups and shaped parts from coils, particularly suitable for medium production runs. Further, these Automatic Stirrup Machines are manufactured by our team of experts with the use of high-quality materials. In order to ensure its flawlessness, the offered machines are tested by our quality inspectors prior to dispatch from our end. The most demanding model has a long run history of serving the construction industry, residential, Commercial or infrastructure projects. 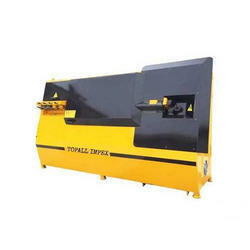 This superior quality machine uses simple hydraulic technology to generate the required results. The electrical panel provides fully automatic functions where the operator can choose different shape and size of the stirrups and the number of pieces as required. The rollers do the straightening of the wire which is made of high-quality raw material.